The article quotes urban planning experts such as David Sims (Understanding Cairo: the Logic of a City Out of Control), Dina Shehayeb (architect and planner, The American University in Cairo), and Mohamed Elshahed (Cairobserver). 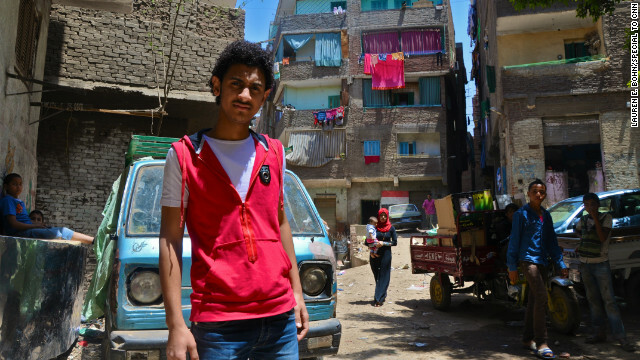 It also touches upon issues such as the Cairo 2050 plan (read Cairo from Below’s analysis of Cairo 2050 here), informal settlements, and the increasingly large divide between rich and poor in Cairo. While watching the dissolving of the Egyptian Parliament and through this article, I am reminded again of the importance of keeping Cairo’s poor at the forefront in my mind, as they are the largest and most vulnerable group at this key point in Egyptian history. فى المقال اقتباسات من خبراء فى التخطيط المعمارى مثل :دايفد سيمس(فى فهم القاهره:منطق المدينه الخارجه عن السيطره) ,دينا شهاب(مخططه حضريه و معماريه بالجامعه الامريكيه فى القاهره) و محمد الشاهد(مشاهد القاهره) . ويتطرق المقال ايضا الى موضوعات مثل مخطط القاهره 2050 (اقرا تحليل القاهره من الاساس للقاهره 2050 هنا),المستوطنات الغير رسميه والفجوة الواسعة المتزايده بين الأغنياء والفقراء في القاهرة.